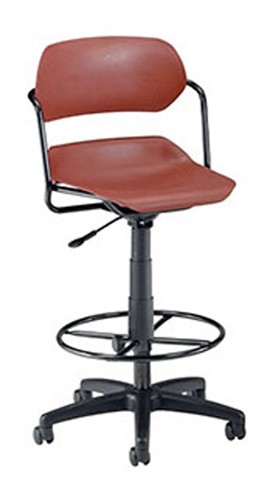 Get free shipping for this swivel stool when shipping to the 48 United States. This 200-DK Adjustable Swivel Stool provides comfort and style! 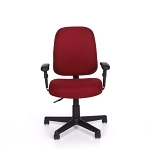 It has a polypropylene seat and back that are easy to clean as well as contoured for comfort! This office chair includes a drafting kit. Drafting kits are designed to act as a foot rest and to increase the height of the chair. Customer with back issues, or who are physically disabled, should consult their doctor before ordering this chair to determine if the customer will able to safely use this chair. Fast Shipping: Orders for the OFM 200-DK generally leave the warehouse within 1-2 business days. Dimensions: 25" x 22" x 15"